JAY-Z says things “are cool” with Solange Knowles following that lift row at 2014’s Met Gala. The footage appears to show Solange trying to kick and hit JAY-Z in front of Beyoncé before being restrained by security at New York’s Standard Hotel. What about the music that came from it? And with JAY-Z mentioning it in the opening track of 4:44, Rap Radar asked what he thought of the music it produced. In the chat he talks about how 4:44 is an “honest portrayal” of him and that he’s “never been honest for so long”. In the podcast, he goes on to speak about being a business man, Tidal, making mistakes and his issues with Kanye. JAY-Z says he “doesn’t care” that Kanye left his streaming service Tidal, and he has no problem with the way Kanye speaks about him. But by bringing his family into the argument, he says that was a line crossed for him. “That’s a real, real problem. He knows it’s a problem because me and him would have been talked about it. We would have been resolved our issue, but he knows he crossed the line. There’s hope for the relationship yet, though. 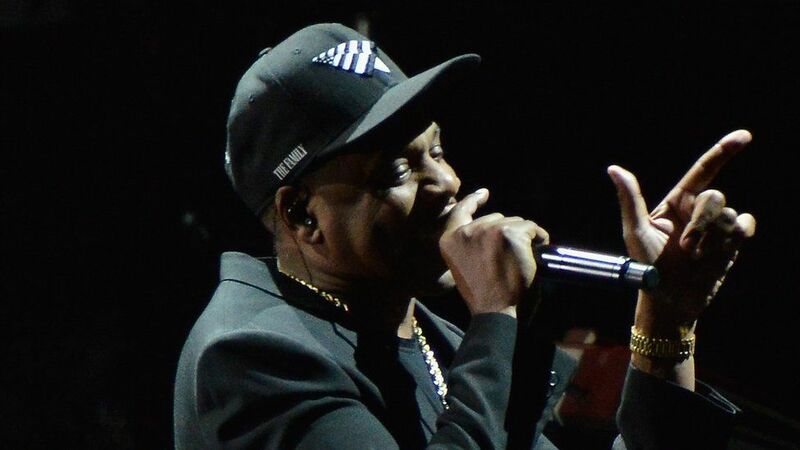 JAY-Z says they “need to have a real conversation and it’ll happen, it’ll happen soon”.